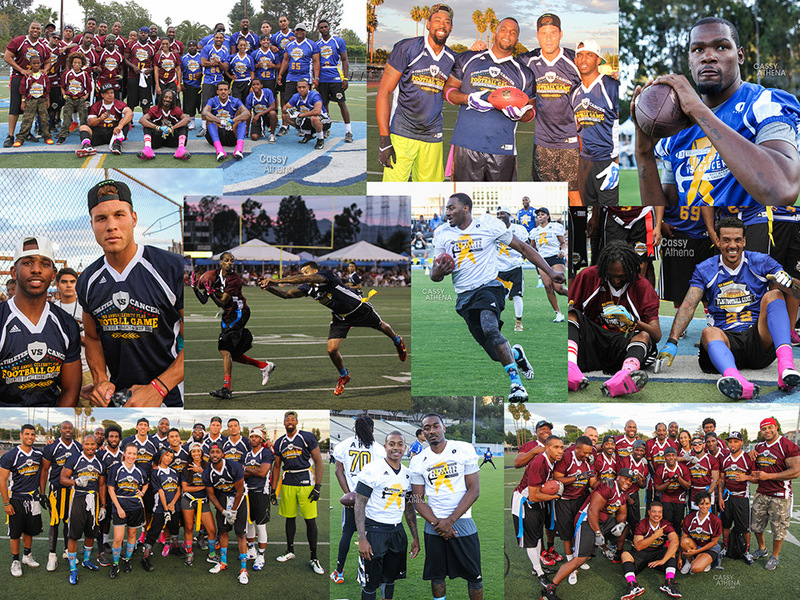 NBA’s Matt Barnes announced today details for his charity Athletes vs. Cancer’s 4th Annual Celebrity Flag Football Game. Co-hosted by Snoop Dogg, this year’s event will feature celebrities and athletes, including members of the NBA Final’s championship team, The Golden State Warriors, and will be played at John Burroughs High School Memorial Field in Burbank, CA on August 6th. The event, produced by Stacey Ruiz Events, will be held on Sunday, August 6, 2017. $15 for adults and $10 for kids ages 7-12. Kids under the age of six get in for FREE! Event gates and the Family Fun Zone open at 3:30PM. Kickoff begins at 5:00PM. Some of the confirmed celebrity participants include: Steph Curry, Kevin Durant, Draymond Green, Aaron Gordon, DeMar DeRozan, Nick Young, Jordan Clarkson, Zack Randolph, Chris Paul, Willie Cauley Stein, Deandre Jordan, JaVale McGee, rapper The Game, musician Chris Brown and Karen Civil. Celebrities scheduled to attend are subject to change and additional names will be updated and announced upon confirmation. Tickets can be purchased online via Eventbrite and a limited amount of tickets will be available at the entrance for $20. Please click here for more ticket information. For additional information on how you can support, donate or become a sponsor for the Athletes vs. Cancer 4th Annual Celebrity Flag Football Game, please contact avc@athletesvscancer.com or visit athletesvscancer.com. Next articleTraveling Around Europe: What Are Your Options?